Have you ever wondered what goes through the mind of an award winning designer when he or she is planning those breath-taking arrangements? 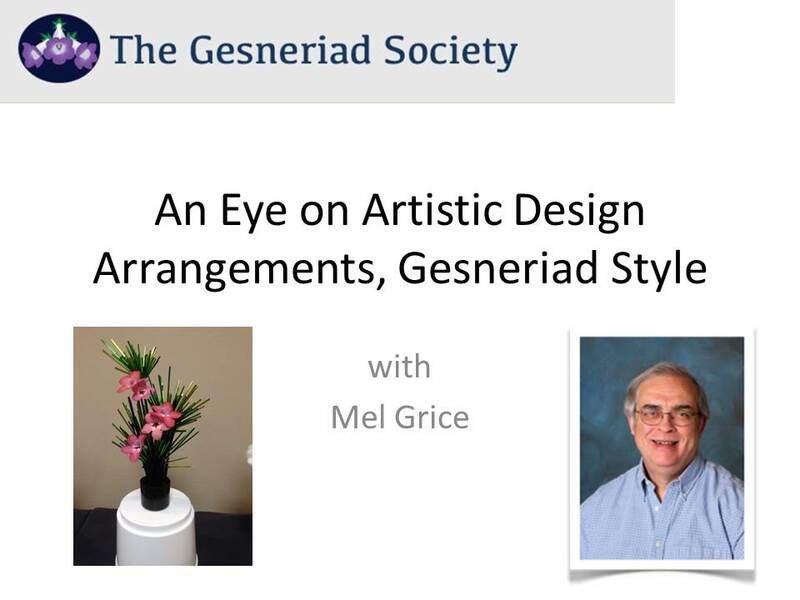 In this webinar, Mel Grice, an award-winning designer, shares his inner thoughts and planning strategies with you. The program includes a discussion of elements and principles of design and photos of designs that illustrate them. Mel explains what works and what doesn’t and has included a demonstration showing the steps of making a small design. He also discusses the society’s “challenge class” and instructions for potential exhibitors about what to bring for these classes. This is a must-view session for both novice designers as well as those looking to step up their design skills a notch. The webinar is available for streaming viewing or download. Click here to order this webinar!